I toss and turn in my bed, my mind whirring, writing lists and packing imaginary bags. My stomach growls and rumbles, I haven’t been eating very well. Stuck to the wall is a kaleidoscope of different coloured post it notes. To do lists and notes to myself. In the corner of the room is piles of gear and equipment still to be packed. Adventure time has come! 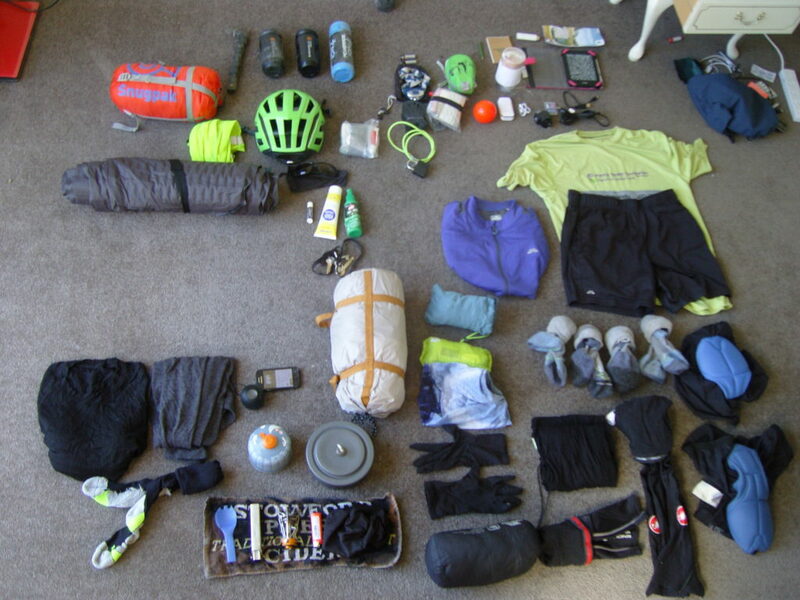 In a few days I will begin my biggest expedition yet, 3000 km off road and on my own bikepacking across New Zealand. It has been a nervous final few weeks. I call it ‘expedition jitters’. The nerves of 10 months of planning coming to a climax. I have been so busy the last two weeks I haven’t even managed to do much riding, I hope I have enough base fitness to get me through the initial shock of life on the road. The training is over and it’s soon time for the real deal. My flight to Auckland is tomorrow and then the day after I take the bus up to Kaitaia and from then on it’s pedal power the whole way. You can only plan so much and there is never the perfect time to begin an expedition. Life will always get in the way. I have been nervous all week and but once the trip starts I can calm down. Then it is out of my hands, plans are plans but once the trip begins adaptability is the strongest skill. Adventure comes from the unknown. I don’t know what lies ahead but I am looking forward to it. A huge storm has hit the North Island, weather warnings have been announced but I will have to see for myself. If you have done the training and the practise rides then that is all you can do. I’m sure even the most grizzled explorers lose some sleep the night before an expedition. This is my first solo experience and I expect to learn a lot about myself over the next few weeks. Emotional highs and lows for sure and plenty of time for some thinking. It’s time to go with the flow and see what happens. I won’t be blogging to much for the next few weeks but follow me on Instagram and Facebook for as up to date reporting as I can.